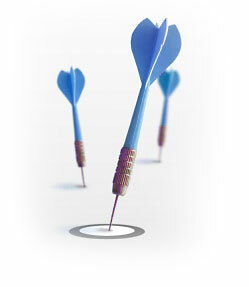 With business technology it's about hitting the 'bullseye' the first time, every time. You want to make better use of your existing technology. You are looking for technology problem solving solutions that will help business get done better and faster. You know that in the world of business, the targets move. The one-size-fits-all technology approach simply doesn't work. You need business technology support from a partner who understands your business and will help you craft a customized solution that hits the mark. Our team of technology advisors will work with your organization to find the right technologies to drive your business. When it comes to your business, don't throw darts and hope something sticks. Choose a tech support business with the experience and expertise to help you hit the mark now, and in the future. No matter where the targets move.